There are more and more foreigners who want to settle permanently or temporarily in Poland every year. These are students, people looking for better working conditions or migrants, who for various reasons can’t or don’t want to stay in their country – in a word, they are looking for a new home. Mazovia is becoming more and more opened and multicultural. It brings new opportunities and needs to support integration between the inhabitants of this region and the population coming from culturally different countries. 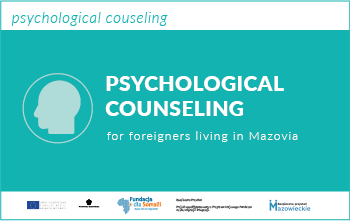 According to these conditions Foundation for Somalia launched a long-term activity under the project “Support for the integration of foreigners in Mazovia”. Guided by the needs of migrants we want to create a series of services that will help foreigners integrate into Polish society, and allow them to learn about the rules of functioning in the country. 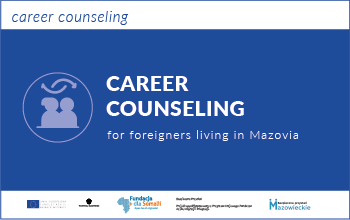 We will be focusing on preparing for getting legal job through career counseling, Polish language classes, legal and psychological advice. Each person who requires support can count on comprehensive assistance of intercultural assistants who were once leaders of immigrant communities, supporting their own national or cultural groups and actively helping people using the services of the Foundation. Assistants are happy to share their experiences and help in dealing with everyday matters. They are adequately trained foreigners from different parts of the world who have stayed in Poland long enough to be able to guide their countrymen. They create kind of “bridge” between the country of origin of the foreigner and Poland. To comprehensively respond to needs, the Foundation runs special information and consulting points offering professional and diverse consultations, among others in matters of legalization of stay, including assistance in the appeal process, legal work, rights of employees and contractors, permissible and possible forms of doing business, career counseling, as well as psychological assistance and integration assistance in the broad sense. Lawyers, vocational counselors, a psychologist, and intercultural assistants are involved in running the points. 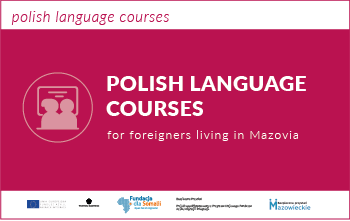 The Foundation also offers Polish language lessons with activities that integrate groups and promote Polish culture and language. 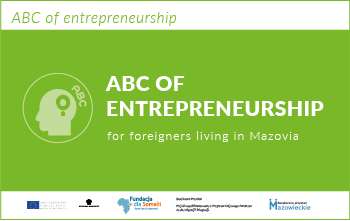 The Foundation for Somalia offers also special training “ABC of entrepreneurship” – a program during which we teach in a simple and accessible way about the planning, establishing and running a business. Thanks to the workshop mode of work, foreigners after the the full edition are ready to start their own business, still having the support of a specialist chosen by themselves (an accountant, a lawyer or a specialist in marketing). The Foundation also conducts a series of intercultural lessons and integration events for foreigners and the host socjety. 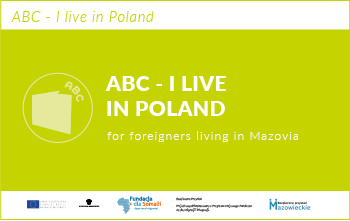 Moreover we will also organize a a series of information trainings which will be part of the information cycle “ABC I live in Poland”. It will bring polish reality closer to foreigners. 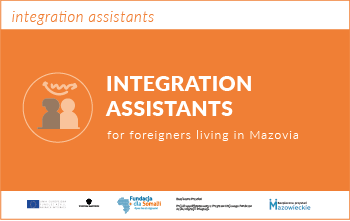 Activities under the project “Support for the integration of foreigners in Mazovia” will be realized in 2018-2020 and addressed to foreigners staying in the Mazowsze region. More information on the activities can be found in dedicated tabs in the main menu. 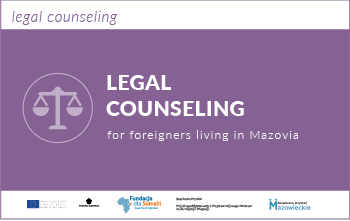 The project “Support for the integration of foreigners in Mazovia” is co-financed from the National Program of the Asylum, Migration and Integration Fund.